In 5 short years, Pipedrive has grown from a small group of 5 co-founders to a global CRM software company with over 100 employees and millions upon millions in annual revenue. But like the rest of us, they started at 0. When they launched in 2010, they had a product that their friends and family found useful, but they had no marketing plan. They reached out manually to people on Twitter to acquire one or two customers here and there, but they didn’t have any real sustainable and scalable way to get more. What ultimately propelled them from 0 to 10,000 paying customers came as a total surprise. In 2011, when their growth exploded, a whopping 33% of new customers came directly from a totally unexpected source—the Chrome Web Store. When you think B2B SaaS customer acquisition, you often think content marketing, advertising or direct sales. But it turns out that one of the cheapest, most powerful forms of customer acquisition are B2B app marketplaces. We’re all familiar with the Apple App Store and Google Play for consumer apps, but barely anyone seems to know about B2B app marketplaces like Chrome Web Store, Salesforce AppExchange, and Google Apps Marketplace. Like on the consumer side, powerful platforms have emerged on the B2B side that give app developers access to millions of potential customers. That means the potential for massive, scalable growth where you’re getting customers nearly for free. 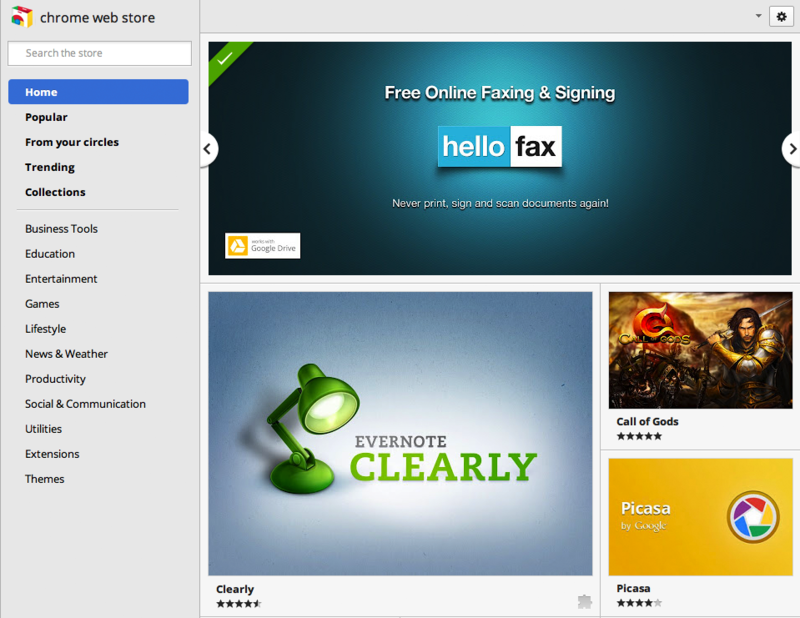 The Chrome Web Store contains every type of app imaginable, from B2B to games to Chrome browser themes. An app in the Chrome Web Store can mean as little as a bookmark to a website to what feels like a native app on the desktop. The Chrome Web Store has grown in importance—especially for business—due to the incredible and continuing success of the Chrome browser and the Chromebook laptop. Google Chrome the web browser is dominating with consumers—with a 25%+ market share and growing fast—and it’s also surpassing Microsoft Internet Explorer among businesses, too. According to Gartner, by 2016, 66% of enterprise users will be running Chrome. Chromebooks are the fastest growing B2B laptop segment with 43% growth during the first half of 2015. Chromebooks are laptops that only run the Chrome browser, so the only apps available to Chromebook users come from the Chrome Store. Finally, Chrome is included as the default browser on all Android devices, and Android is taking market share away from iOS in the enterprise. That boosts the Chrome ecosystem for those who want a consistent experience across all their devices. All of that adds up to massive opportunity for B2B SaaS developers to reach business customers via the Chrome Web Store. Salesforce founder and CEO Marc Benioff first coined and trademarked the term “App Store,” before gifting it to Steve Jobs as a thank you for Jobs’s years of personal support. The AppExchange has been around since 2006 and it’s the earliest B2B cloud app marketplace. The AppExchange doesn’t consist of only sales-related apps, although that’s its expertise. Just as Salesforce has expanded beyond pure CRM, so has the AppExchange, with apps ranging from project management to customer service to HR and more. 71% of Salesforce customers use apps, and app usage is growing: it took 6 years to get 1 million app installs, 2 years to break 2 million, and just 18 months to get to 3 million. What’s amazing about this number is that a single app install means that the app potentially gets deployed to hundreds or even thousands of employees inside of the company. Entire businesses have been built on top of Salesforce using the AppExchange for distribution. ServiceMax, which just raised another $82 million in funding—helps companies service and maintain the equipment—and it has grown a huge business focused entirely on its partnership with Salesforce. Like with AppExchange, the power of the Google Apps Marketplace is that a single install there can mean that the app is deployed to every person in the entire organization. Google Apps is a suite of productivity tools that you need for work. It features email but it also includes online storage, calendars, collaboration, and more. Because Google Apps is based around email—which everyone in the company needs—it can easily become the central place in your company where you manage each employee’s identity and their access to the different tools they use. That makes the Apps Marketplace the obvious place to install and deploy apps to the organization. According to a recent study, 33% of Google Apps administrators said that the existence of an app within the Google Apps Marketplace helped encourage its adoption by the whole business. Among small businesses, the Google Apps suite of tools is #1 and owns 22.8% of the market. That makes the Apps Marketplace a really attractive place to acquire business customers. "Among small businesses, the Google Apps suite of tools is #1 and owns 22.8% of the market"
There are numerous other places where apps connect their customers to third party developers. These range from formal-style app stores with ratings, reviews and transactions—like the Shopify App Store—to a more informal listing of integrations—like the Yammer App Directory. These smaller app stores usually focus around the specialty of the provider. If you’re building for e-commerce, you’re going to want to get into the Shopify App Store, and you probably won’t be interested in the Box App Store. Don’t overlook them, though. These platforms are still huge and they can have a big impact of your business. If you narrow in and really nail the use case, you can rise to the top of the app store and thrive. For example, e-commerce receipt SaaS service Receiptful has grown from nothing to sending over 500,000+ receipts every month with the Shopify App Store as its primary source of customer acquisition. First, you just need to get into these B2B app stores. Then, you need to experiment to get your app discovered and find success. The requirements of getting into an app store can range widely. Hosted Apps: a hosted app is a wrapper for a website that can be as basic as just a bookmark. Packaged Apps: a packaged app feels like a native desktop app. Extensions: an extension extends the functionality of Chrome and the websites being viewed in it. With the most basic hosted app, you only need to create a manifest, add a few images, write your ad copy, and you’ll have a listing in the Chrome Store in less than 30 minutes. On the other end of the spectrum, creating a packaged app or an extension can take months. Each app store has a different set of requirements and approaches to finding success, but they can be abstracted into the following principles. Often, the most basic requirement to get into the app store is to have single sign-on for the app store provider. It makes account management easy for the customer so that your app doesn't feel like yet another tool that has its own separate login credentials. It provides continuity between app experiences by authorizing access to user information to can be used to tailor the app experience. For example, having Google login a pre-requisite to getting into the Google Apps Marketplace. Even if, as with the Chrome Store, you aren’t required to integrate with Google login, putting up a listing without it available can be a recipe for negative reviews. Single sign-on is the most basic integration possible, and it becomes something that users expect. If it’s not available, users will potentially revolt and tank your listing’s rating. Setting the login up for one provider can be a huge pain—much less doing it for multiple ones—as you’ll have to deal with the peculiarities of the company’s login API and grapple with its documentation. 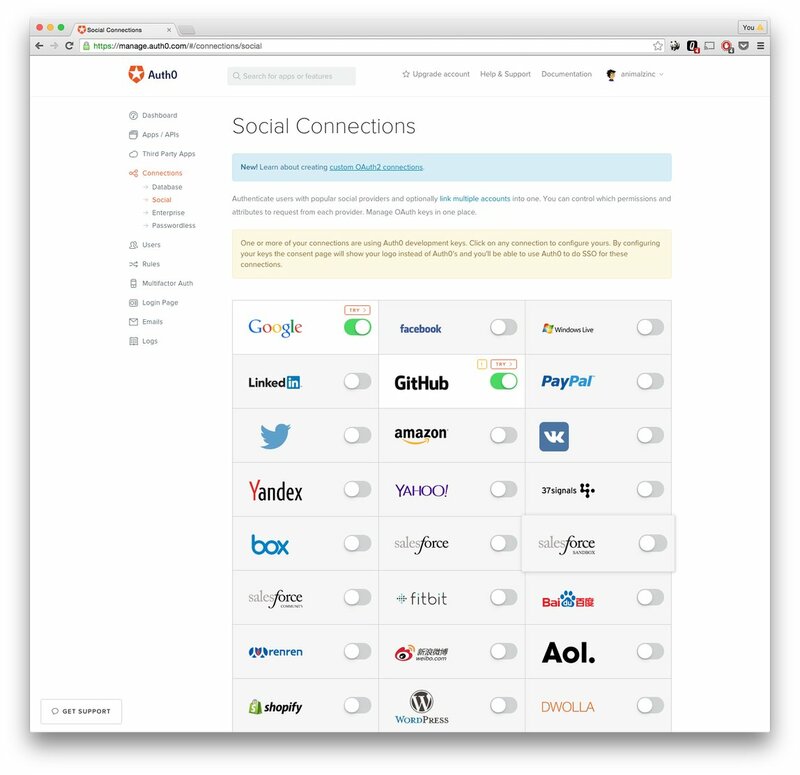 With Auth0, all you need to do is flip a switch to activate a number of integrations. Your app store listing consists of a few main components. Optimize these, and you’ll dramatically improve your chances of having your app discovered among the vast number of apps in the app store. Text: You want to think of this the same way you think about SEO: What keywords do I want to rank for and how do I optimize for those keywords? Put your most important keywords in your listing’s title and make sure they appear with some frequency in your listing body. However, don’t over-stuff your keywords as it will look spammy and lower your conversion rate from view to download as a result. Images and Video: Don’t just include any images in any order—tell a story with your images. This is incredibly important because most people won’t read the text of your product description, so they rely on the images and screenshots to understand your product. Wherever possible, use video, because it’s even more powerful than images in conveying what the product is for and the emotion behind your brand. For your images, put your main screen that captures what your product does as your first image. Then, include the following images in a narrative order with short copy on each that explains the screen. This will help get your product from a view to a download. Ratings and Reviews: A high rating and a good volume of positive reviews will increase your search ranking and make it more likely that will people download upon discovery. Seed a solid score with ratings and reviews from your most loyal customers, your team, and your friends and family. That will secure you decent initial placement and your first few downloads. Segment your users by identity provider or referrer. You want to pull those customers who found your app via the relevant app store. Create a sub-segment of those users who are likely to give your app a favorable review by looking to see if they’re active with the app. For example, you could pull those users whose latest login was fewer than 3 days ago. Send those users an email asking them to review you in the app store. You can do this by hand early on. 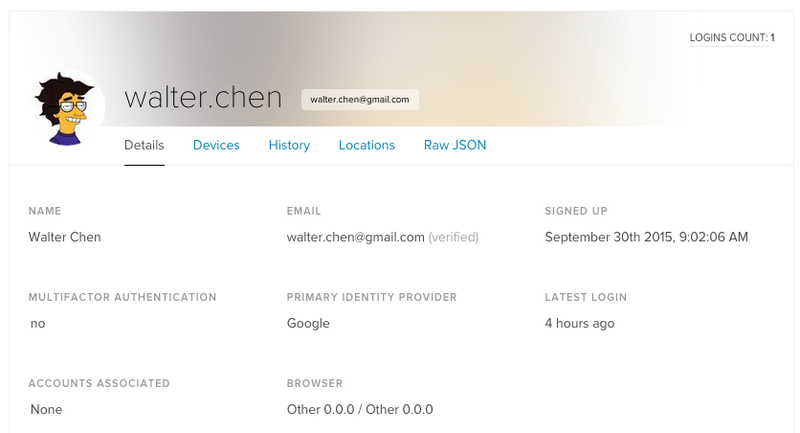 Use Auth0 with Customer.io to make this a systematic email that goes out once you’ve seen that this process works. Download Count: The more downloads your app has, the more it will get. This is the factor of app store discovery that you have the least control over. However, if you iterate on the principles outlined above, you could find yourself with ever-increasing download numbers, and that means even more downloads. App stores are typically region-specific. You’re able to adapt your listing to fit the local language which makes it easier for customers to buy. The Chrome Store for Brazil, for instance, is in Portuguese, while the Chrome Store for France is in French. If your app is English-only, your app will appear in the Brazilian Chrome Store, but you’ll get outranked by apps that have been localized for Brazil. The upshot is that if Chrome Store is working for you, you have a great opportunity to drive growth by internationalizing the app. Pipedrive, for instance, “translated the app and website to Spanish, German, Russian, Brazilian Portuguese, French and Estonian pretty early on.” They ended up seeing huge growth from the Chrome Store in Brazil, due to having a localized listing and getting mentioned in a prominent Brazilian blog. The opportunity to get spotlighted in as a featured app. App stores want to showcase apps that make the most of the platform they offer, and the difference between being above the fold and featured on the front page, and being beneath the fold and only accessible by browsing or by search is absolutely massive. When Google Drive launched, they looked for partner apps to showcase what you could do by integrating with Google Drive. HelloFax—an online fax tool—teamed up with them and built a Google Drive integration that made it easier to access and fax Google Docs. That got them featured by the Chrome Store and they scored 50,000+ new customers in two weeks. Often, the hardest part of starting a company isn’t building product or innovating on technology—it’s acquiring customers. Building sales and marketing teams is particularly tough for engineering-focused founders. "Often, the hardest part of starting a company isn’t building product—it’s acquiring customers." What’s most awesome about acquiring customers via apps marketplaces is that it turns the process of customer acquisition into a process of improving the product. As you add single sign-on and deeper integrations, you add and deepen your product’s functionality as the same time as you improve your product’s app store acquisition. 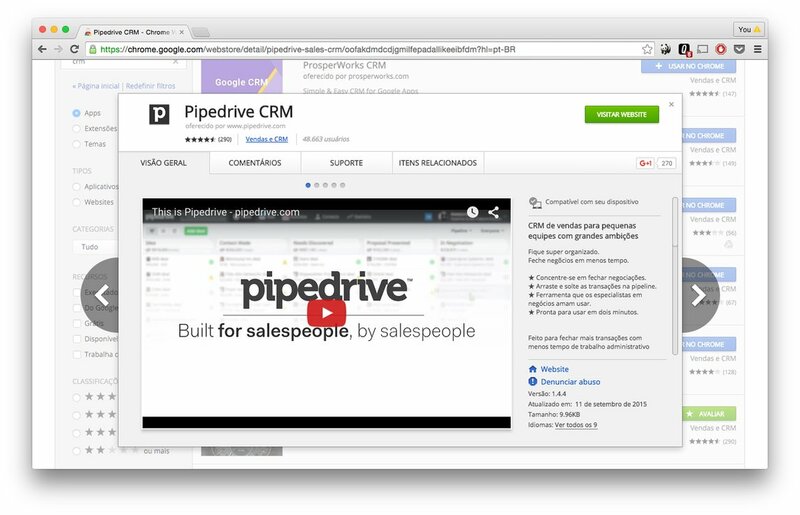 A few years in, the importance of the Chrome Store for Pipedrive’s business had dramatically decreased. Yet, those tailwinds provided by the free, frictionless customer acquisition via Chrome Store helped them build the rare, absolutely critical momentum that startups need to succeed in a big way. They were able to focus 100% of their energy on improving the product, which got them from 0 to 10,000 customers and now has put them in a position to challenge the giants of CRM.